Depending on your individual needs, AccuShred offers daily, weekly, monthly, or on-call destruction services. The only requirement for our on-call service is that your container(s) be serviced no less frequently than quarterly. We provide, free of charge, specially designed secure locking bins or console units placed strategically throughout your office or facility. These containers are used to safely deposit and store your sensitive information. Our security drivers will arrive on a scheduled date to service the bins or consoles. They will leave a service ticket that shows AccuShred accepts legal responsibility to destroy the records taken into our possession. After the records have been destroyed, you will be provided with an itemized invoice and a notarized Certificate of Destruction. This is an important legal document that you should retain in order to demonstrate that due diligence was used to protect your sensitive information. For customers whose policies dictate that material is shredded at their location, AccuShred offers on-site document destruction. AccuShred employees pick up totes on a scheduled or on-call basis and securely transport the material to our mobile shred truck, where it is immediately pulverized. We are often asked if mobile (on-site) shredding is the most secure form of shredding available. It all depends on what type of truck is being used, and there are several kinds out there. AccuShred utilizes slow-speed rotary grinder shredding trucks, which create a very small, consistent particle size, particularly when compared to our competition. We have spent the extra money to ensure this small particle size because we feel it gives our customers (and us) the peace of mind knowing that their sensitive material has truly been thoroughly destroyed. Please read the article, Does (Particle) Size Matter?, found in our Resources and Tools section, for more information on the different types of shred trucks and why it’s important to you. This on-site document destruction service can be arranged for Routine Container Service or Purge/File Box Cleanout Service (see below). It is especially convenient for firms that need to personally witness the destruction of documents or other confidential information. AccuShred provides businesses with annual, semi-annual or periodic purges of old records that no longer need to be retained. Our security drivers will safely remove and load your records into our shredding truck for immediate destruction, or onto our locked trucks for transport to our secure and monitored shredding facility. If you do not have the records stored in file boxes, we can deliver containers to your office for disposal and then return when you are ready for the destruction of the material. Very little preparation of your material is required. AccuShred can accept material with staples, paper clips or small binders. 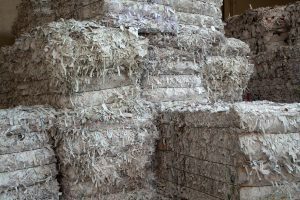 This is the most economical method of document destruction and requires you to bring the records to our facility for shredding. Our service associate will unload your vehicle and weigh the documents on our certified scale. Once weighed, the documents are taken to the shredder for destruction. This company is always great, when I call usually within 24 hours they come and pick up.